ABUJA, Nigeria(ANN)-Speech Delivered by His Excellency, Prof. Yemi Osinbajo, SAN, Vice President, Federal Republic of Nigeria, at the Open Government Partnership (OGP) Week, Held at the NAF Conference Centre, Abuja. “We have, since we assumed office three years ago, made remarkable progress in pushing the frontiers of transparency and accountability in the Federal Government. One of the first things that the President did when we took office was to establish the Presidential Advisory Committee Against Corruption (PACAC), to coordinate our reform efforts in this regard. “We inherited a Treasury Single Account (TSA) system that existed mainly as an idea, without any committed implementation. Since the Presidential Order by President Buhari in August 2015, we have made remarkable progress in expanding the reach of the TSA, so that today, we are almost at 100 percent compliance. “We ought to equally acknowledge that there is a limit to what civil society by itself can accomplish by itself, without building bridges with the public sector that is very often the target of its work. What our experience with OGP in Nigeria has proven, is that it is possible to build a coalition of like-minded reformers drawn from government and non-state actors. SPEECH DELIVERED BY HIS EXCELLENCY, PROF. YEMI OSINBAJO, SAN, VICE PRESIDENT, FEDERAL REPUBLIC OF NIGERIA, AT THE OPEN GOVERNMENT PARTNERSHIP (OGP) WEEK, HELD AT THE NAF CONFERENCE CENTRE, ABUJA, ON MONDAY, MAY 7, 2018. 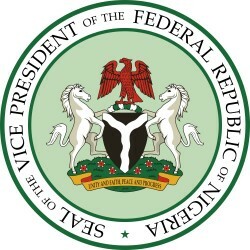 Distributed by APO Group on behalf of Office of the Vice President of Nigeria.